Those that treat individuals with mental illness understand the importance of communication. Medical directive compliance can be a hard battle. Real-time communication is a great asset to have. Imagine how helpful patient and provider texting could be. As much as mental health providers would like to simply give out their number to patients, that’s not a viable or compliant solution. When physicians want to keep close tabs on patients, technology has to be the answer. Looking at the best way for communication that instantaneous, secure texting answers the need. Patient and provider texting should be an initiative for your organization. Even though the current culture has become more accustomed to talking about mental health, that doesn’t mean there are always options. Those that do get care don’t always benefit from well-staffed facilities. A study from just last year from NYU Langone determined that even though the need for mental healthcare is rising, access to it is waning. The study supports what many already know. Resources are thin in the area of mental health. While the study doesn’t completely answer the question of “why.” It’s most likely a combination of factors, including shortages in psychiatrists and other mental health providers along with increased costs of care not covered by insurance. Since care teams have greater patient loads, it would be impossible for them to see all their patients in-person regularly. They need a new approach like secure texting. With patient and provider texting, clinicians can engage patients directly. It can eliminate so many return trips to the office. The time practitioners spend with their mental health patients is important. It’s a time to review symptoms and discuss care plans. This compounded with the need to see so many patients in an allotted amount of time means not every question can be asked. While the patient may be having a good day when he sees the doctor, the next day could be different. But physicians may not even hear about these at all. Unless, you make it easier for patients. Easier is texting. If a patient can pick up the phone and send a message explaining his/her difficulties, healthcare professionals can respond with recommendations for medication or other care. When patients allow for noninvasive monitoring of symptoms, the care plan is more relevant and has support behind it in the form of communication. The proliferation of medication to treat mental illness has become quite significant in the past few decades. It’s also become more common with one in six U.S. adults taking some kind of psychiatric drug, the largest percentage being anti-depressants. That’s a tremendous amount of medications to keep up with. Some individuals, depending on the severity and nature of their disease, may take two, three, four, or more medicines. For any patient under the care of a physician and prescribed psychiatric drugs, medication compliance is necessary for it to help. Unfortunately, non-compliance with medication is a big problem in mental health. A study published in World Psychiatry looked at ways to enable and encourage better compliance with medication. A pilot study used a monitoring technique of looking at sleep and activity data as well as any refusal to take medicine. It’s another way to use secure texting as an aid. 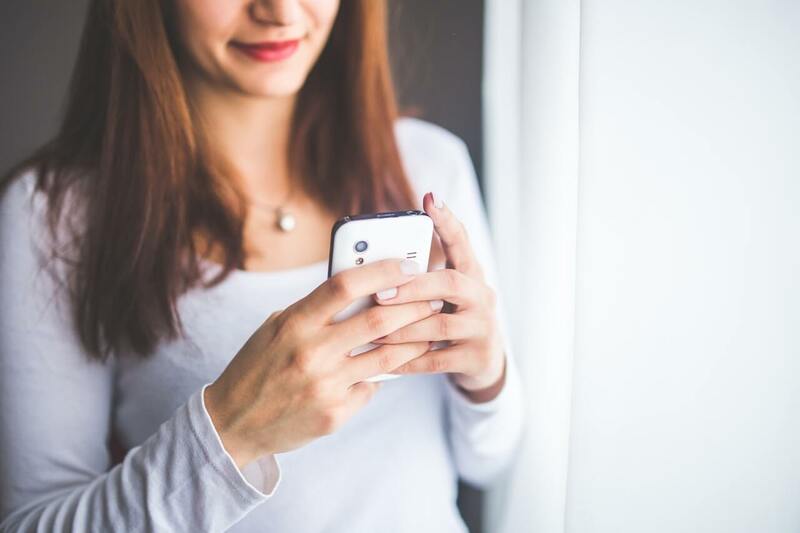 You can have regular check-in and medication reminders via text messaging. You can ask questions about the patient’s mental state at the time, too. This leads into the next era in messaging, as another channel to collect healthcare data. Having a quick way to alert care teams about new symptoms or emergency situations, adds to the record of the patient and could be a way to help them more long-term. Beyond just communication, you are recording data. This data can then be uploaded to the Electronic Health Record (EHR). Mental illness can be cyclical. If doctors spot trends with data collection, they could then adjust medications or increase therapy sessions to counteract a probable episode. The first thing to consider is what functionality you want to have on secure texting application. It should be a flexible platform that allows photos to be shared as well as text. And, it must all be HIPAA-compliant. No communication should be visible on a personal phone outside the app and all content is sent with dual encryption. You’ll also want to make sure it’s easy for your patients to use, as you’ll be asking them to download it. A good user experience for them will be important for adoption. To upload conversations and images to the EHR, you’ll need to find a system integrated with your platform or that is EHR agnostic. Then it’s all about trying it out and seeing how it works for you and your patients. It’s time that everyone sees mental health the same as you, that it’s as important as physical health. Find better ways to connect with your patients today. Check out what we do at QliqSOFT to make that happen.